MDF® has redesigned the Queen Square Hammer first popularized and named at the National Hospital for Nervous Diseases in Queen Square, London. The result is a weighted, agile percussion device for effective elicitation of myotatic, plantar and abdominal responses with greater patient comfort. Head: The Queen Square Hammer head is surmounted with a chrome-plated brass disc (2" diameter) grooved to house the TPR rubber collar. The weighted head and soft rubber collar is perfectly suited in provoking myotatic responses. 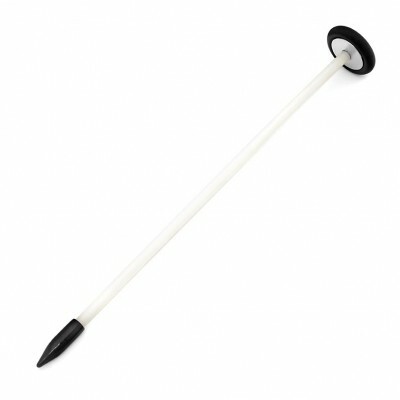 Handle: Flexible Nylon handle consists of a slender tapering handle. The tapered point is suited for eliciting plantar and abdominal responses.